This is the last time I will post anything to do with making moulds. There are many aspects to making an animated film that are less than exciting to talk about and I would put making moulds at the top of that list. 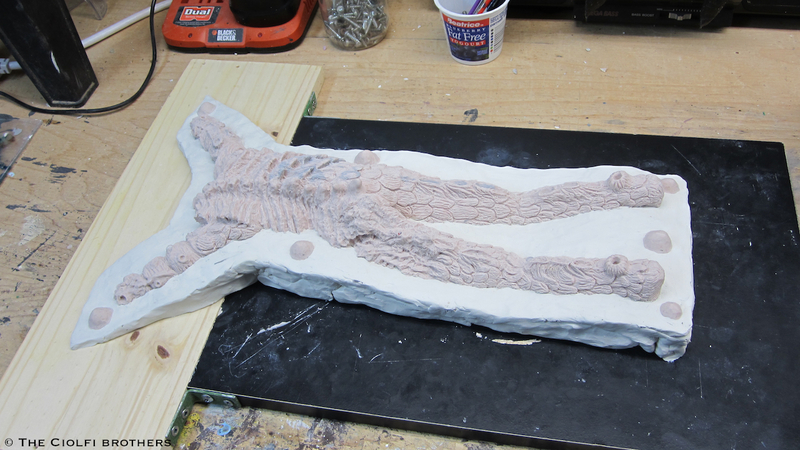 That is way I am happy to report that the final sculpt has been successfully committed to stone. Much like casting puppets in foam, mould making is both boring and stressful. There is always that concern that after you pour the plaster, something will go horribly wrong and all the work you put into the sculpt will be lost. I’ve been making moulds for many, many years and can’t remember the last time one has gone sour but that fear still lingers. Maybe that’s a good thing. Now that I have all the puppets ready for final assembly I can start work on the sets and props which is always much more satisfying.